As we near the end of 2012, we look back at the past year – the highlights and accomplishments, and new ways to grow and improve together. 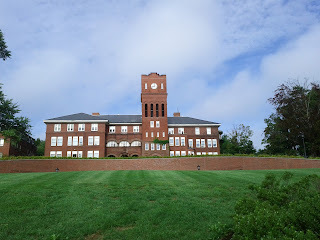 A particularly engaging and innovative effort was this summer’s Educating for Sustainable Happiness symposium held at Cushing Academy. We’re proud to showcase another video from the symposium. Ron Canuel, CEO of the Canadian Education Association, and his keynote, centered around the importance of having educators and students take the charge to integrate and implement new strategies in education, especially relating to technology. 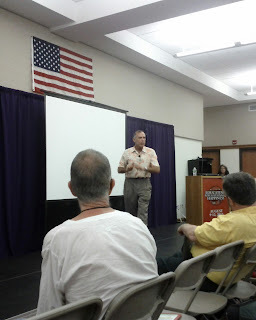 Our ongoing video coverage from the Educating for Sustainable Happiness symposium from this past summer, continues with a keynote address by Tony Wagner, Innovation Education Fellow, Technology & Entrepreneurship Center, Harvard University and Author of “Creating Innovators”. Dr. Tony Wagner laid out a fascinating address focusing on the question to the world’s leading innovators, ‘what are the skills that we need most?’. What he found was a set of core competencies to build students into lifelong learners and active citizens. Innovative and transformative ways of providing education is becoming an important and critical aspect as we move forwards in the 21stcentury and was a popular topic at the Educating for Sustainable Happiness held at Cushing Academy. We’re pleased to have a video of the keynote address from Patrick Bassett of the National Association of Independent Schools. Patrick begins his address by asking an important question, “Are schools designed to fit kids? Or adults?” and discusses the need for more experiential education that encourages creativity and independent critical thinking in students. 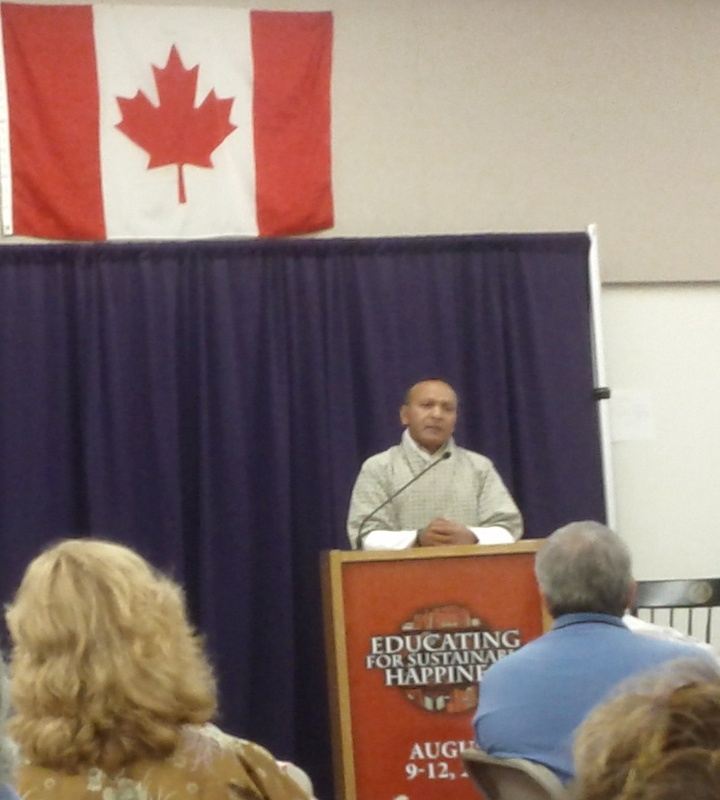 Continuing with our coverage from this summer’s Educating for Sustainable Happiness symposium in Ashburnham, Massachusetts, we are able to present the Honourable Thakur S. Powdyel, Minister for Education for the Royal Government of Bhutan, and chief symposium guest’s keynote speech on ‘Educating for Gross National Happiness’. Bhutan is actively integrating the concept of Gross National Happiness into its school system and The Honourable Minister elaborated on the creation of ‘Green Schools’ to encourage the best educational experience for students that promotes not only the necessary skills to succeed in their adult lives, but also to promote, healthy, happy and good lives for students. We’re happy to be able to display some of the amazing keynote addresses from the Educating for Sustainable Happiness symposium that took place August 9 to 12. First up, is Jeffrey Sachs, Director, Earth Institute at Columbia University. Jeffrey Sachs is a world-renowned professor of economics, leader in sustainable development, senior UN advisor, bestselling author, and syndicated columnist whose monthly newspaper columns appear in more than 80 countries. He has twice been named among Time Magazine’s 100 most influential world leaders. Jeffrey Sachs joined the symposium via Skype. A global voice in the movement to recognize happiness as a important indicator of human progress and wellbeing, Jeffrey spoke about the recently released World Happiness Report, which he co-authored, and it’s implications for education. He encouraged educators to take the challenges we are facing today as a human race – sustainability, global warming, poverty reduction – and make them relevant in their own communities. In particular, by prompting students to think about what these issues mean from a local perspective. What does climate change look like in Massachusetts? And what can be done on a micro level to address it? Bhutan Today, a daily newspaper in Bhutan, had the chance to speak with the Minister of Education, Lyonpo Thakur Singh Powdyel, the Chief Guest at the Symposium on Educating for Sustainable Happiness in an email interview about his experience at Cushing Academy. “It has been a most humbling experience for me personally to see the amount of goodwill and support for our country from every soul we met. 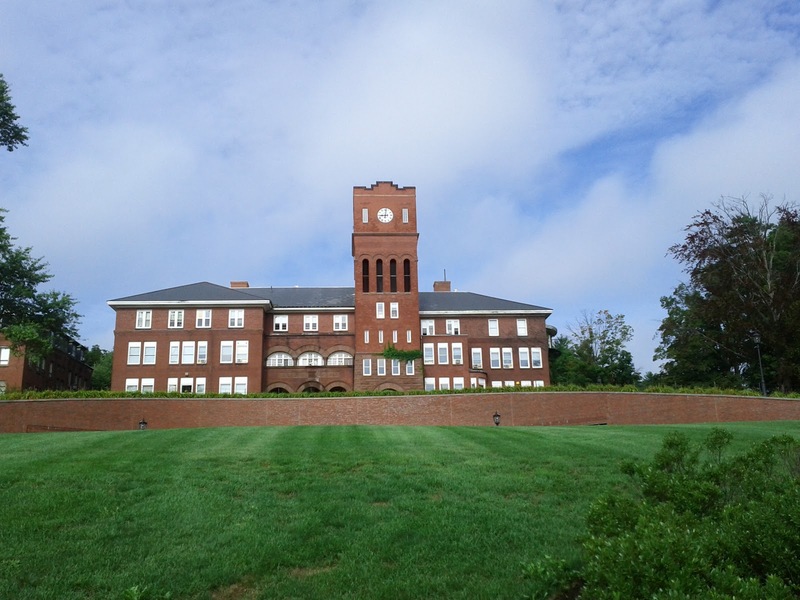 Cushing Academy, alma mater of His Majesty our beloved King, is an extraordinary seat of learning. I found it a model of a green school in the true sense of the term. I am most delighted that we have an opportunity now to work together with this outstanding centre of learning.” Lyonpo told Bhutan TODAY in an e-mail interview. Principal Passang Norbu and Jessica Tudos check out an iClass Table. Keynote speaker, Ron Canuel, chats with symposium participants. Sam Blyth, H.E. Thakur S. Powdyel, Patrick Bassett, Ron Canuel & James Tracy. Dr. Saamdu Chetri makes a presentation on Bhutan’s GNH Centre. The symposium closes with final words from Jeffrey Sachs. After a terrific first day spent discussing happiness in education and the future of learning in the 21st century, participants at Edu4Happiness were back yesterday morning, taking in a keynote address by Patrick Bassett of the National Association of Independent Schools, discussing the role of the arts in developing leadership abilities and how to use gamification as a learning tool, and exploring the impact of the democratization of knowledge through the use of technology. Patrick Bassett opened his keynote address by asking an important question, “Are schools designed to fit kids? Or adults?” That is, are students being taught in the way they like to learn? Or are they being taught in the way teachers like to teach? Pat maintains that, in fact, students are being taught in a way that zaps creativity and makes students conformist. In order to combat this issue education needs to be more experiential and must underscore the skills and values that will be both demanded and rewarded in the 21st century. To learn more about the “Five Cs + One” click HERE. On the heels of a number of visionary presentations, Kul Wadhwa of Wikimedia provided examples of ways he and the Wikimedia team are taking the idea of democratizing knowledge through technology and implementing it in practical ways across the globe. He spoke of initiatives like Wikipedia Zero, which enables users in the developing world to access the entirety of Wikipedia’s articles through their mobile phone WITHOUT the use of a browser and for FREE. Kul spoke of a number of other initiatives that Wikimedia is working on to use technology for empowerment and education, including providing the ability for users to download the full Wikipedia library using highly compressed ZIM files, which are small enough that the library can fit on a thumb drive. @thekulway #edu4happiness you were one of the bright lights in steering the course. Hope to further collaborate. To close things off we were joined by Jeffrey Sachs via Skype. A global voice in the movement to recognize happiness as a important indicator of human progress and wellbeing, Jeffrey spoke about the recently released World Happiness Report, which he co-authored, and it’s implications for education. He encouraged educators to take the challenges we are facing today as a human race – sustainability, global warming, poverty reduction – and make them relevant in their own communities. In particular, by prompting students to think about what these issues mean from a local perspective. What does climate change look like in Massachusetts? And what can be done on a micro level to address it? 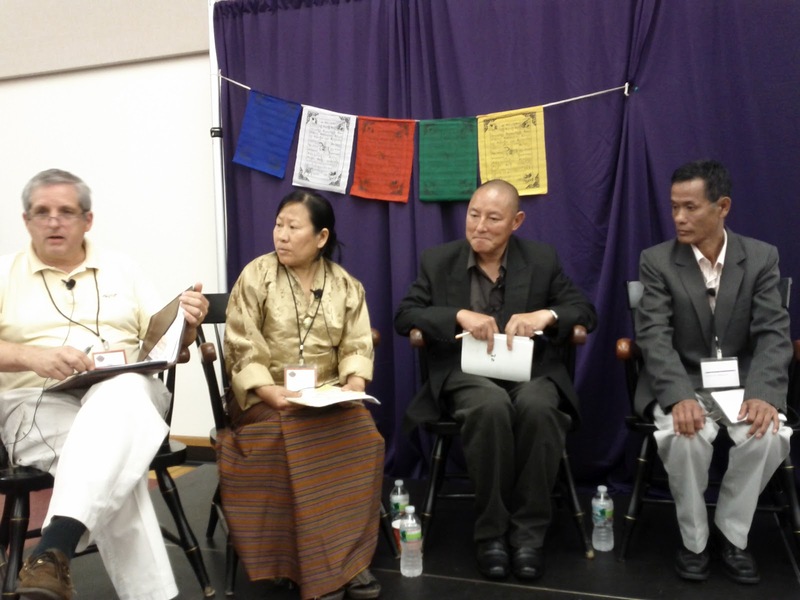 Yesterday afternoon was packed with just as much goodness as the morning, with a keynote address by Ron Canuel of Canadian Education Association, a panel discussion by the Bhutanese delegation made up of Dr. Saamdu Chetri, Phuntsho Lhamo, Sonam Choggyel and Passang Norbu, and breakout sessions on topics ranging from sustainable education, cross-cultural learning expeditions, implementing technology and mindfulness in education. Lesson #1: Education doesn’t really like change. In order to be successful it’s important to focus on mid-adapters – enabling their success will enable the success of other mid-adopters and eventually reach late- adopters. Lesson #2: If technology is not reliable teachers will simply put the machines aside. Lesson #3: Curriculum must support the integration of technology and become transformational in both learning and teaching contexts. Lesson #4: Pragmatic buy-in is necessary, not just philosophical buy-in. Lesson #5: Evaluation drives instruction and should be completed prior to deployment. Lesson #6: The student voice need to be a predominate in the new class environment that is driven by technology. 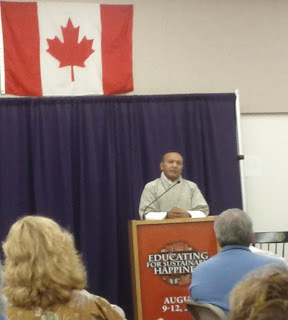 Peter Clarke from Cushing Academy facilitated a discussion on initiatives in educating for Gross National Happiness that featured educators from Bhutan who are currently implementing these practices in their classrooms. Educating for Sustainable Happiness was off to a cracking start with keynote addresses from Dr. James Tracy and Dr. Tony Wagner as well as a handful of illuminating talks from breakout session leaders on a wide range of topics including, learning about spiritual exemplars, crowdsourcing education, pursuing a virtuous life, designing culturally relevant curriculum, exploring experiential learning and solving challenging problems. Dr. Tracy spoke of the need for education to catch up with the rapidly changing nature of our world and for students to be taught the ability to analyze amidst numerous electronic distractions. The fact is, he maintains, that change is happening more quickly than it has at any other point in human history and that the next twenty years will see much more change than the last eighty years. The result, of course, is that while we cannot anticipate what our students will be learning twenty years from now, we can create within them a comfort with accelerating change, so that they can navigate the information surplus society we now live in while maintaining ethics, morality and civility. Amongst other fascinating ideas articulated in his keynote address, “Creating Innovators”, Dr. Tony Wagner laid out a set of core competencies that were the result of asking some of the world’s leading innovators, “What are the skills that we need most?